What a great week! Last weekend was a friend’s wedding in Oak Glen and the reception in Yucaipa was catered by none other than my hubby! Sunday then was a full day of fun at the beach celebrating little Eli’s big 4th birthday! Work was busy, a night in with the girls was fun and something I’ve been missing, and then our weekly bible study had a little BBQ at our teacher’s house. And then yesterday my momma and I went to Riverside to see Cathy Rigby as Peter Pan. Best Peter Pan I’ve seen. A week that was full of fellowship was exactly what I needed! 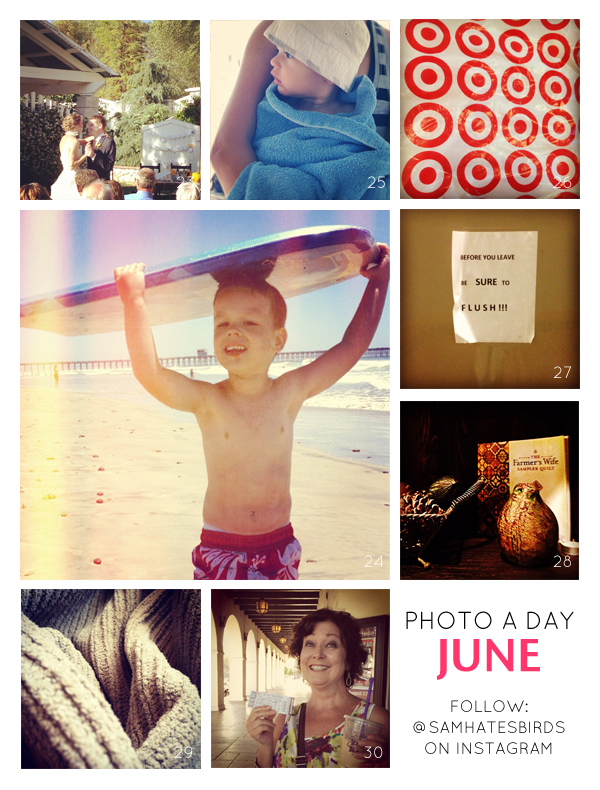 Join in on the photo a day fun in July! Below is the next set of prompts from Fat Mum Slim. If you’re never heard of Photo A Day and want to get a glimpse of the bigger picture, Chantelle wrote up a blog post about 5 Ways Photo A Day Will Change Your Life. It’s a pretty short and neat read.